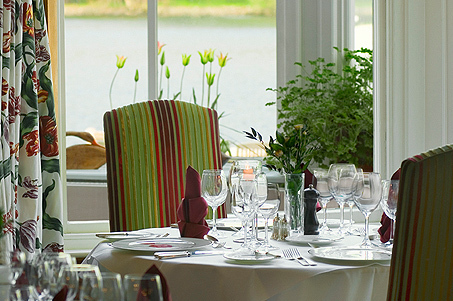 The Lakeside Hotel is a luxurious four-star hideaway in the heart of the English Lake District. The Lakeside Hotel is a luxurious hotel which has seamlessly blended the country house feel with the contemporary four star luxury to create a beautiful homely feel. The hotel accommodation comprises of 75 rooms which are decorate following the contemporary design meets county house theme. Each room is comfortable, stylish, warm and welcoming to all. Perfect for romantic breaks as well as family getaways. There is a choice of two superb restaurants at The Lakeside Hotel; the 2 AA Rosette Lakeview Restaurant, where you can dine in candle light and enjoy fine wines from our cellar to set the mood for a delicious dining experience every evening and the John Ruskin’s Brasserie, which serves brasserie favourites in an informal, bustling atmosphere with fantastic service. 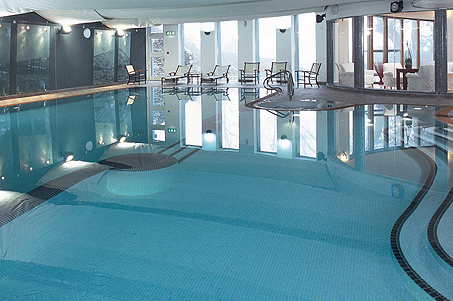 The hotel spa, pool and fully equipped gym are open to Lakeside guests. The visually stunning 17m pool complete with etched glass panels of the Lakeland landscape provides scenic views of Lake Windermere. 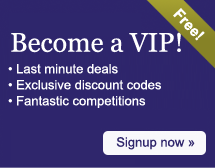 Lakeside Hotel offer a number of short breaks and packages including luxury spa stays. The Lakeside Full Afternoon Tea will cost £49 for two people, and you will receive soup to start, then a choice of delicious sandwiches followed by the best selection of homemade cakes and pastries. The Lakeside&apos;s conference facilities include the Windermere suite, which offers flexibility and confidentiality, hosting up to 100 delegates, the Lakeside Suite which is a dedicated conference facility on the first floor of the hotel it can host up to 80 business guests. There is also a further 8 syndicate rooms available at the Lakeside Hotel, each capable of holding up to 30 delegates, which makes it ideal for smaller meetings and break-out sessions. Making it a wonderful conference facility within the luxury Hotel surrounded by fantastic views. If you are looking for the perfect Lake District wedding venue then The Lakeside is a dream location with its secluded gardens, lake setting and chartered cruises. The hotel is licensed for civil ceremonies. All rates are per room per night and included our renowned Lakeside breakfast. From Junction 36 of the M6 join A590 signposted Barrow & South Lakes. At Newby Bridge go straight on at roundabout and take next right over the bridge. Follow this road for 1 mile which will bring you to the hotel. Lakes Aquarium award-winning, all-weather attraction opposite the hotel. Windermere Lake Cruises boats depart to Bowness, Brockhole and Waterhead, near Ambleside from directly outside the hotel. Lakeside & Haverthwaite Railway catch a steam train only 100m from reception. Great Knott Wood Woodland right on our doorstep, cared for by the Woodland Trust, whose ongoing project of restoration will ensure that this one of Cumbria's ancient woods is saved for posterity. Click here for more information on the plans. Fell Foot Park and Gardens A Victorian Park, owned by the National Trust, directly across the lake by short ferry ride. Fine picnic areas, children's playground, tea room and boat hire. A regular ferry service from Lakeside connects with the lake steamers. Stott Park Bobbin Mill A 19th century working museum just a 15 minute stroll towards Hawkshead. Millerbeck Light Railway Situated in the grounds of Millerbeck House in the Lakeland village of Staveley-in-Cartmel. Normally a private home of the owners, although they do open the railway to the general public on an occasional basis. 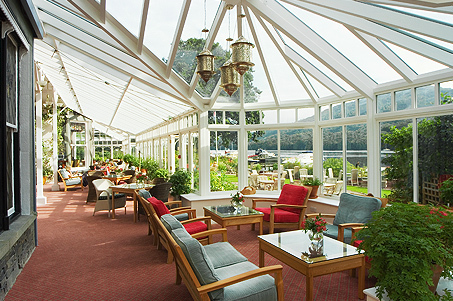 Send an e-mail to Lakeside Hotel - Luxury Hotel in Windermere, Lake District by filling in the form below. All fields are required.